"fluoride science is corporate science, fluoride science is DDT science, its asbestos science, its tobacco science..."
Christopher Bryson, discussing the findings in his book The Flouride Deception. Watch the interview here. Watch this video with author Christopher Bryson, on the findings in his book the flouride deception. Get your FFS T-Shirt here. To really get the message out, pick one with the "Professional Statement" on the back. Join the mission of Fluoride Free Sacramento to end the practice of adding drugs to our drinking water. We cannot do it without you, please join us today. The coerced policy of adding an unapproved drug without informed consent or ADA/CDC/EPA/FDA/NSF accountability in the form of a lead and arsenic contaminated toxic waste product to our drinking water without any control of the dosage, for the unproven goal of preventing tooth decay. A waste product never safety tested on humans, which certain sub-populations are sensitive to, with the vast majority of it dumped into the environment, resulting in among other things; over one third of our kids now showing signs of fluoride overexposure in the form of spots on teeth (Dental Fluorosis.) See The Thirteen Facts with links and details. April 14, 2011 - Because fluoride can disproportionately harm poor citizens and black families, Atlanta civil rights leaders, Andrew Young and Dr. Gerald Durley, have asked Georgia legislators to repeal the state's mandatory water fluoridation law, reports Fluoride Action Network (FAN). January 14, 2011 - A significant milestone in the fight against fluoride emerged quietly and without much notice from the mainstream media last week. After decades of ignoring research pointing to its dangers and a jingoist like promotion, the government is now calling for a reduction in the amount of fluoride it adds to public water supplies. This decision was based on its negative effect on teeth, described as dental fluorosis. Fourteen years after public health dentists recommended that fluoride levels be reduced to 0.7 ppm (Heller et al. ), the Department of Health & Human Services has officially recommended doing so. Dental fluorosis (white spots on teeth) is the only visible sympton of fluoride overexposure. A recent government report estimated that 41% of adolescents aged 12-15 have dental fluorosis. Because fluoride from water builds up over time in the human body, this reduction will not eliminate the dangers of fluoride. Recent studies indicate a link to bone cancer, bone fractures, thyroid disorder, lowered IQ and more. Further, the reduction of fluoride level may be proof that the warnings from activists, critics and health professionals may be heard after all. MORE in news. November 2006 - the American Dental Association (ADA) and the Center for Disease Control (CDC) issued a warning to parents of infants. Not only is fluoride ingestion during infancy unnecessary, it can also be harmful - as suggested by a mounting body of evidence linking fluoride exposure during the first year of life with the development of dental fluorosis. The ADA and others recommend that children under 12 months of age should not consume fluoridated water while babies under 6 months of age should not receive any fluoride drops or pills. This was due to the risk for dental fluorosis, and the lack of demonstrable benefit from ingesting fluoride before teeth erupt. MORE in news. Any purported benefits of fluoridation are in scientific controversy. Studies from 50 years ago do not pass muster under today's standards for safety or effectiveness. Research from the same era also "proved" cigarettes don't cause cancer. Even the AMA - American Dental Association concedes that no studies were done to determine any side effects caused by fluoridation. The "fluoride" (hydrofluosilicic acid) used for water fluoridation in Sacramento does not have FDA approval and is considered by the FDA as an "unapproved drug". The proper use of any drug requires an understanding of how much is too much. Constitutional and Civil liberty issues are raised regarding the forced mass medication of the population when alternative means of reducing cavities are easily available, such as tooth brushing and education. Even so-called mandatory school immunizations provide exemptions for parents who wish not to participate. The chemicals used for fluoridation are not high purity, pharmaceutical quality products. Rather they are byproducts of aluminum and fertilizer manufacturing and contain a various levels of toxins and heavy metals such as arsenic, lead and chromium. All proven to be carcinogens. These chemicals are routinely imported from overseas. Typically drugs are prescribed by doctors who carefully evaluate each patient before any treatment is considered. When did the government become authorized to prescribe a one size fits all drug with no way to control dosage? Since fluoride is already in many foods and beverages, an estimated total intake of existing fluoride amounts is imperative. Research shows we're already receiving 300% or more of the ADA's recommended daily amount in processed foods such as juice and cereal etc. This video features a Nobel Laureate in Medicine, three scientists from the National Research Council's landmark review on fluoride, as well as dentists, medical doctors, and leading researchers in the field. The 28 minute program presents a powerful indictment of water fluoridation programs. To learn more, or purchase a DVD see our links page. Yes, your Sacramento CC and CS representatives have been given a copy of the DVD. Have they watched it yet? Why not ask them now? Also see the very informative Interview With Christopher Bryson, author of The Fluoride Deception on our Book page. Tooth decay rates have declined at similar rates in all western countries in the latter half of the 20th century - irrespective of weather the country fluoridates its water or not. Today, tooth decay rates throughout continental western Europe are as low as the tooth decay rates in the United States - despite a profound disparity in water fluoridation prevalence in the two regions. Within countries that do fluoridate their water (such as the United States and Australia), recent large-scale surveys of dental health - utilizing modern scientific methods not employed in the early surveys from the 1930s-1950s - have found little difference in tooth decay, including in "baby bottle tooth decay", between fluoridated and unfluoridated communities. The chart above compares dental health in countries that do not fluoridate vs. those that do, over a span of approximately 30 years. As you can see, all countries had a drop in tooth decay regardless of weather the water was fluoridated or not. Buy the end of the study period all countries have essentially the same level of dental health. Most countries don’t fluoridate their water, but their kids’ teeth are as good as those that do. The National Survey of Children’s Health (NSCH) was designed to measure the health and well-being of children from birth to age 17 in the United States while taking into account the environment in which they grow and develop. Conducted for the first time in 2003, the survey collected information from parents about their children’s health, including oral, health care utilization and insurance status. Aspects of the child’s environment that were assessed in the survey include family structure, poverty level, parental health and behaviors, and community surroundings. The survey was supported and developed by the U.S. Department of Health and Human Services, Health Resources and Services Administration, Maternal and Child Health Bureau. 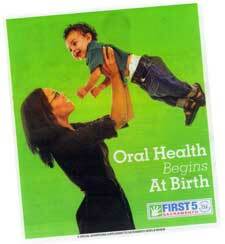 One essential aspect of children’s health measured in the survey was oral health. Parents of 102,353 children, 1 to 17 years of age who had natural teeth that had erupted were asked about the condition of their child’s teeth, their use of, and access to dental care. In this chart above, the black line indicated each state, starting with the least percentage of its residents drinking fluoridated water. Each state one by one is shown with an increasingly larger percentage of its population consuming fluoridated water - until the states with 100% fluoridation. The yellow line represented the level of "hi-income" households with very good/excellent teeth. The purple line represented the level of "low-income" households with very good/excellent teeth. Apparently weather a state is fluoridating 100% or 1% of its citizens, the dental health is not effected. What is shown is income has more of an effect on oral health than does any fluoride level. Why the Sacramento City Council which should know all this, continues the water fluoridation program? The citizens of Sacramento have voted down fluoridation twice in the past. It appears the CC members would rather take the advice of dentists who are not qualified to speak on the effects of ingested fluoride on the body. What are you asking Sacramento?